Display Boards 4 to 6 - Why Plan? Display Board 17 - Have your say! Display Board 18 - Can you help? Click here to view the Housing Needs Survey. 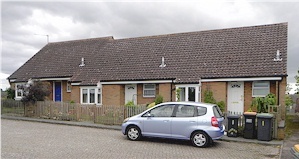 The report was prepared by Bedfordshire Rural Communities Charity (BRCC) to establish the type and amount of new housing that would help meet the current and future demands of the Parish. The BRCC report identifies a small need for affordable housing within Felmersham and Radwell from households resident in (or with strong links to) the parish, which is unlikely to be met by normal market provision. The need identified is split between first time buyers, households in need of more space and households looking for a property more suitable in retirement. The report recommends the provision of 5 units of affordable housing. In terms of market housing, the survey feedback indicates that there is a need for 2-3 bed houses and bungalows or otherwise suitable properties (e.g. 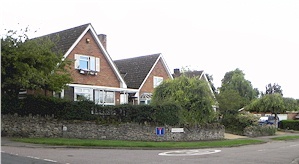 houses built to Lifetime Homes criteria) if Felmersham and Radwell is to meet the identified current and future needs of existing owner occupier residents wishing to stay in the village. The report suggests that the provision of up to 14 units of market housing would meet a reasonable proportion of the need while being in keeping with the size of the village. These could be delivered alongside or as part of a rural exception site, with the market housing cross-subsidising the affordable housing. Out of interest, 108 responses were received from around 300 distributed, a return rate of around 36%. This is regarded as a very good response rate for a housing needs survey as typical the return rate is approximately 20-25%. The survey provides key evidence to support any land allocations and policies in the emerging Neighbourhood Plan.